The lie-flat business-class seat has its own app, a 4K TV and wireless charging. 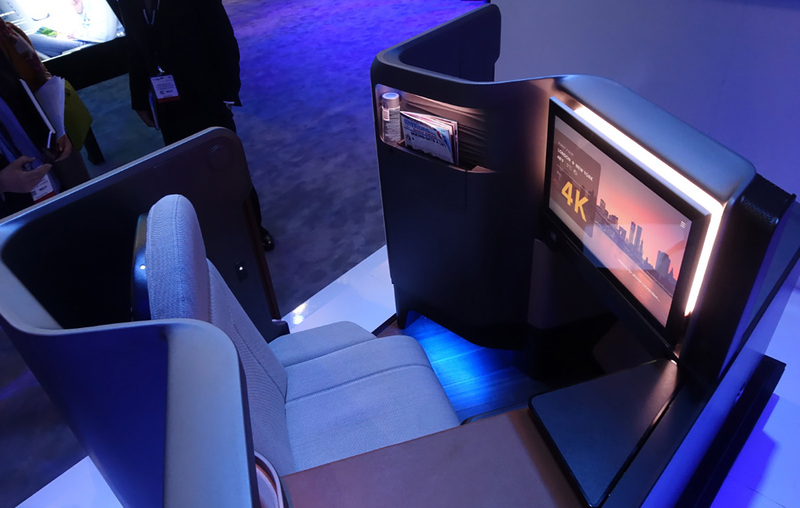 Panasonic has launched the most techie airplane seat we've ever seen, complete with its own app, user programmable mood lighting and a 4K TV. It revealed the product, called "Waterfront," at Hamburg's Aircraft Interiors Expo (yes, there's a show for everything), where it was spotted by The Points Guy. Since this is Panasonic's first foray into high-end airliner seats, it teamed up with B/E Aerospace, Formation Design Group and Denny e-bike designer Teague. The most you might expect from an airline seat is WiFi and a private screen, but Panasonic's Waterfront goes way beyond that. To start with, it has an app that pairs with your seat via pulsing lights from the in-flight screen. 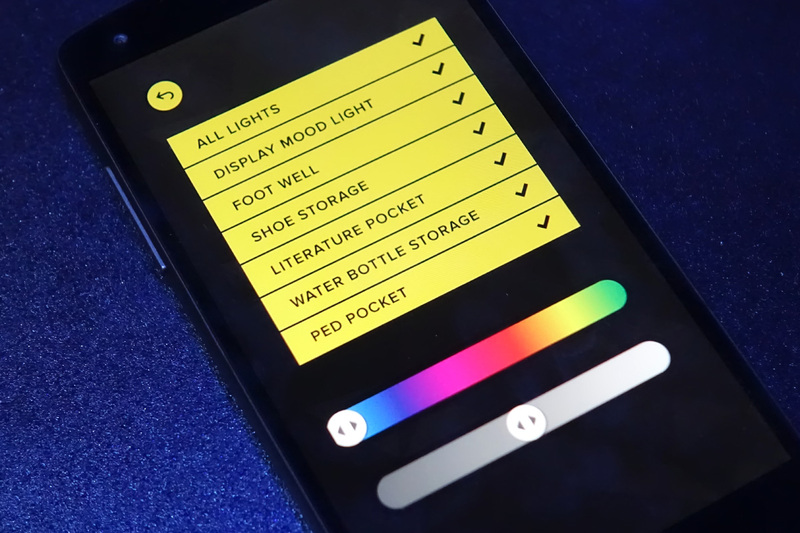 Once it's set up, you can use it to tweak seat lighting down to individual zones like the water bottle and front pocket. It also controls the entertainment system, which features a 24-inch 4K TV, the first Ultra HD in-flight system so far. To take full advantage of that, it'll presumably need some kind of 4K airliner streaming player, which doesn't exist right now as far as we know. The app lets you program a video and music playlist and remembers your settings for the next flight. It also adjusts your seat, puts up a "do not disturb" sign (complete with a wake-up call time for the crew) and tells you where to claim your bags on arrival. Other high-tech features include wireless phone charging, universal power, an HDMI input to let you watch your own movies, and even a built-in camera (for video chats, presumably). The seat is apparently as comfy as you'd expect, considering the price you'll have to likely pay to claim it. However, it won't arrive until 2019, so there's plenty of time to save up.